One shark has died after a truck carrying four sandbar sharks from Florida to the New York Aquarium in Brooklyn blew a tire on I-95 in Volusia County. The sharks, which are each about five-foot-long were each being transported in small individual tanks the truck ran into a ditch, which caused one of the tanks to be jostled and damaged, with a shark being “ejected” from the vehicle and fatally injured. Members of a SeaWorld rescue team arrived onsite to care for the surviving sharks, with SeaWorld assistant curator Jim Kinsler telling WESH that: “They’re in good condition… Nothing different from normal transport stress.” Alongside, one might reasonably assume, the stress of being in an altered environment that then veers off the road. 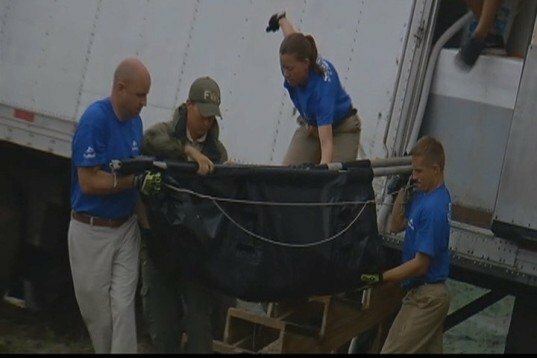 Local news outlets report that the surviving sharks have been returned to a SeaWorld facility in Orlando, where they will remain until arrangements are made to once again transport them to the NY Aquarium, which is owned by the Wildlife Conservation Society, who are also responsible for the world-famous Bronx and Central Park Zoos. 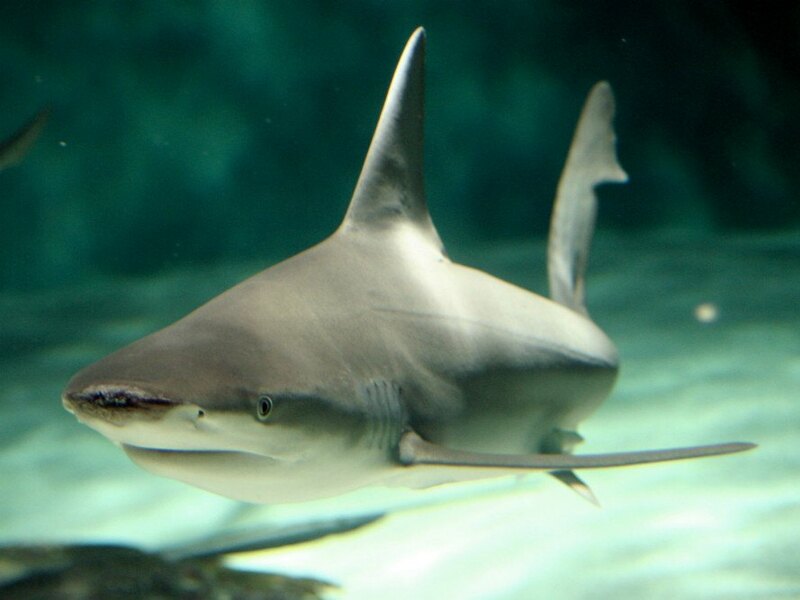 Sandbar sharks are typically found in shallower waters in the Atlantic and Indo-Pacific Oceans, and due to overfishing they have been designated as “vulnerable” by the International Union for Conservation of Nature. And while it might sound alarming that sharks are transported by truck on our highways—it’s not actually all that unusual. The Monterey Bay Aquarium explains on their site that their Sandbar sharks are flown directly from Honolulu to San Francisco before being driven to the aquarium. There are very few details available about exactly how these sharks were being transported, and the precautions that were being taken to ensure their health—but this particular highway fatality yet again highlights the risks taken by aquariums in bringing our marine life ashore. One shark has died after a truck carrying four sandbar sharks from Florida to the New York Aquarium in Brooklyn blew a tire on I-95 in Volusia County. The sharks, which are each about five-foot-long were each being transported in small individual tanks the truck ran into a ditch, which caused one of the tanks to be jostled and damaged, with a shark being "ejected" from the vehicle and fatally injured.